The Alpine Chalets Enzian and Fireweed come with a single queen size bed each. 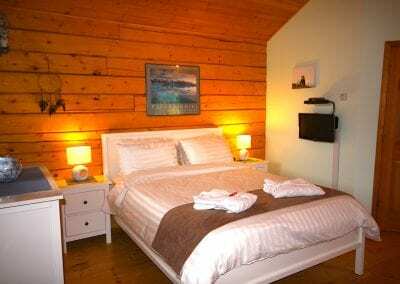 The Alpine Chalets Arnika and Lupine have 2 twin beds each. 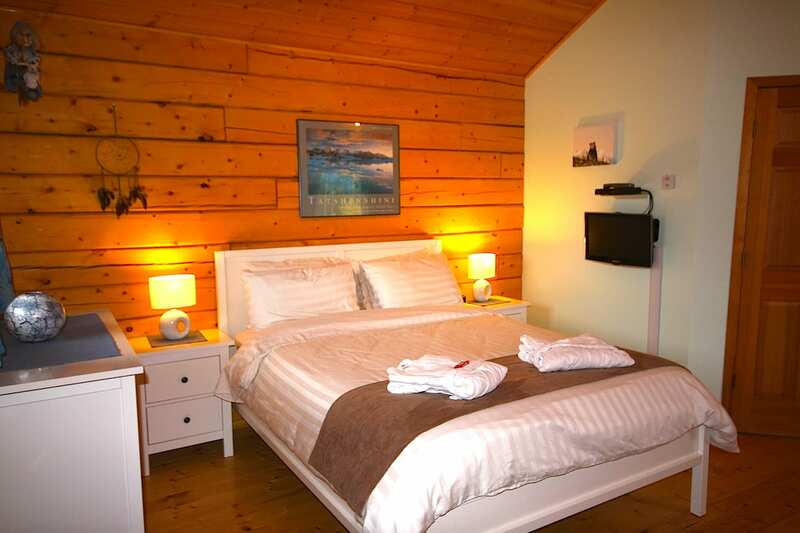 The well-appointed and cosy log cabins come with a large living/bedroom with fireplace, a fully functional kitchenette and en-suite bathroom and they are furnished with a comfortable single queen bed or 2 twin beds, dining table, chest of drawers and a cosy leather love seat or recliner chairs. The Chalets are build from Yukon-grown timber create a very special and romantic atmosphere where you feel at home immediately. 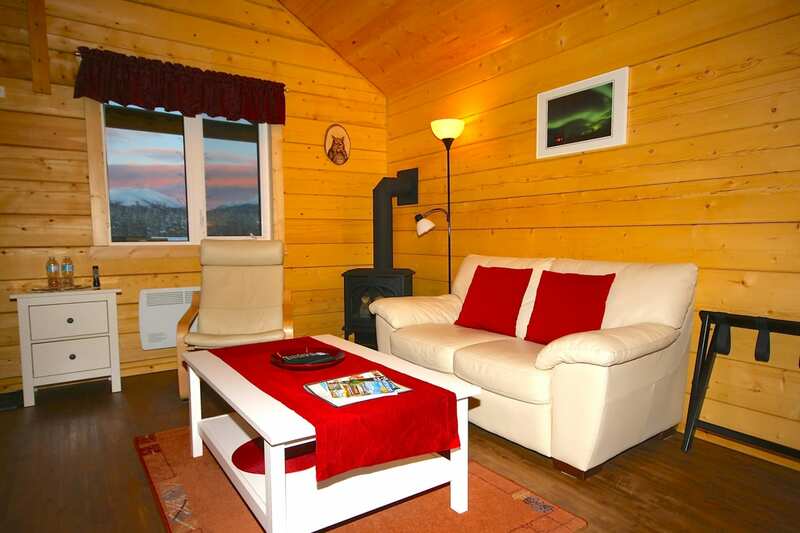 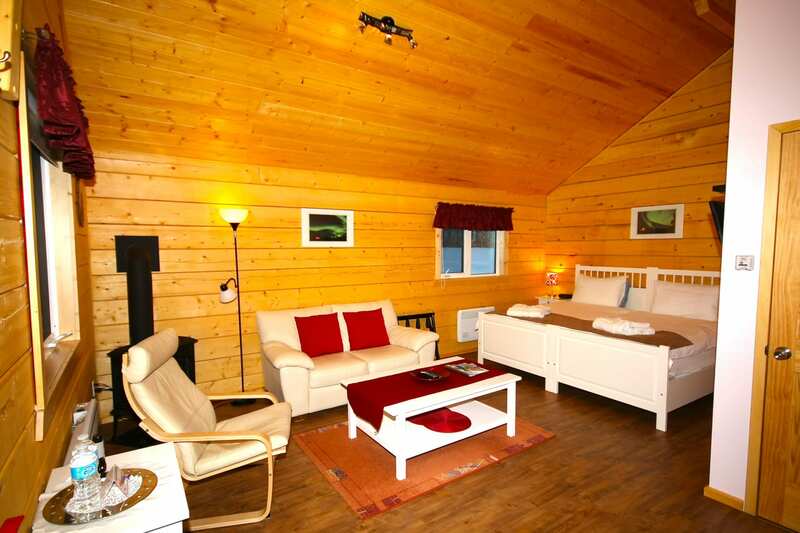 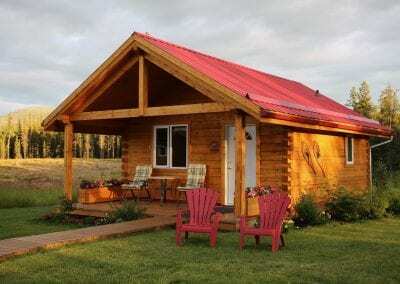 The Chalets are designed to accommodate up to two adults.